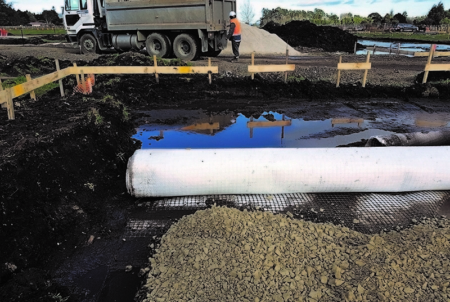 GridTex is a geogrid geotextile composite providing an economical solution for reinforcement and separation when constructing on soft ground. 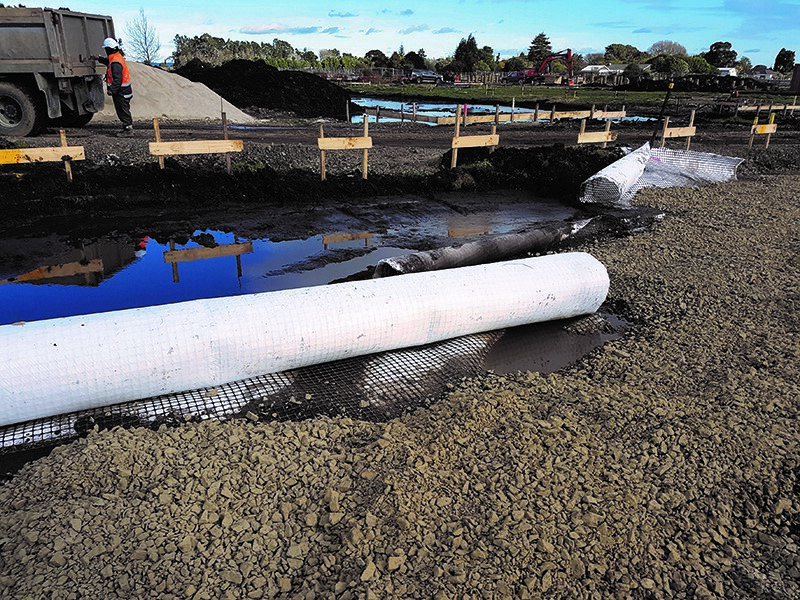 GridTex is a combination of DuraGrid polypropylene geogrid with a 200gsm nonwoven geotextile, providing both reinforcement and separation. 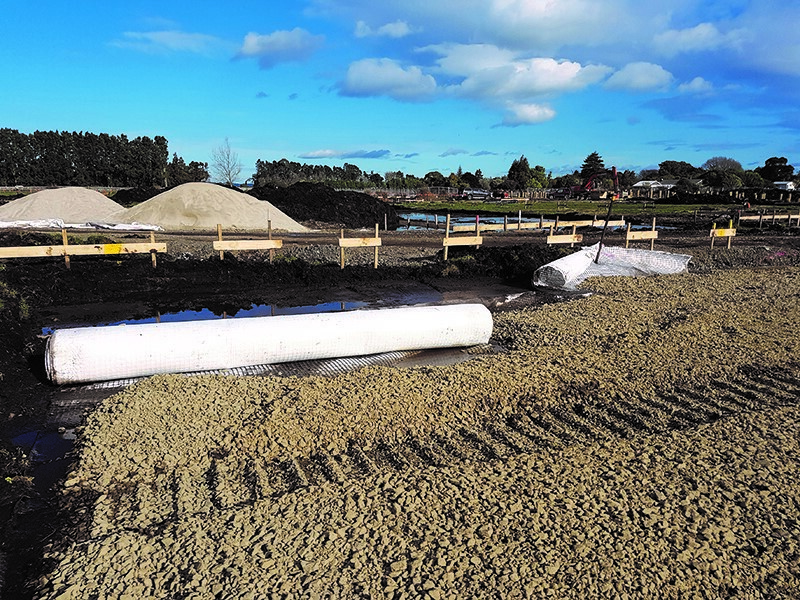 The combined effect provides a practical solution for dealing with soft subgrades on roads, foundations and working platforms providing both separation and reinforcement in the same roll. 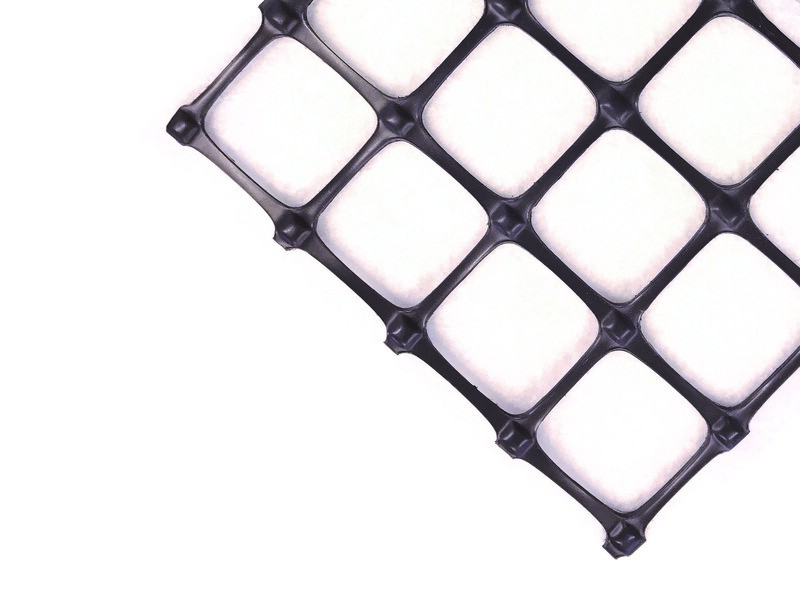 GridTex will save time as it can be laid in a single operation instead of laying grid and textile separately. This product is available in three strength grades to suit a range of applications being 20/20kN/m, 30/30kN/m and 40/40kN/m. The stronger grades of 30kN/m and 40kN/m are primarily selected to mitigate construction damage from heavy machinery on very soft subgrades. 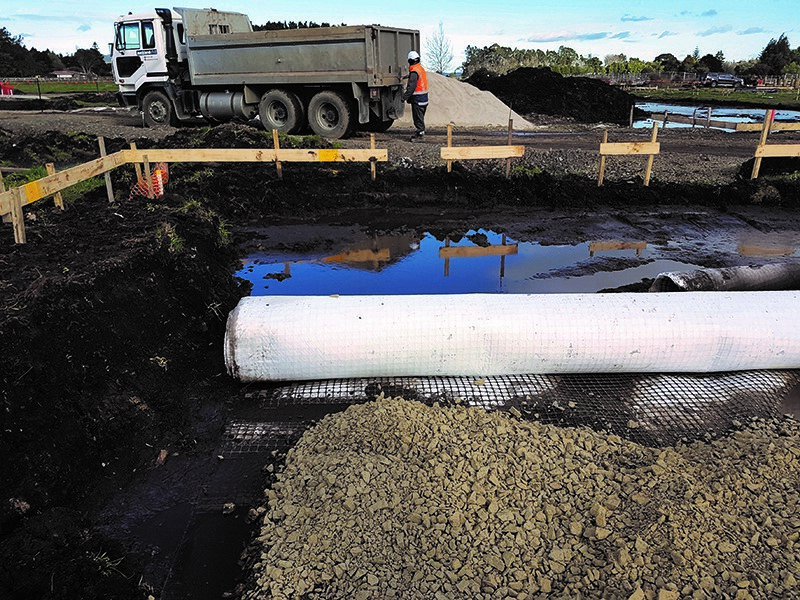 The 20kN/m is more commonly used for firmer subgrades and/or lighter construction equipment and the construction of temporary access tracks to enable access across poor subgrades. What is the difference between GridTex geocomposite and CombiGrid®? 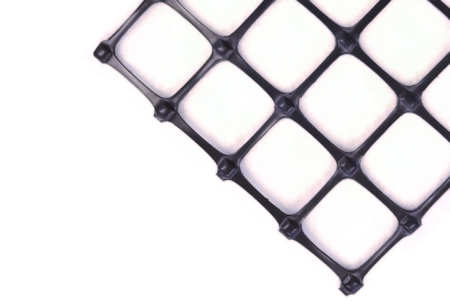 The reinforcement element for GridTex utilises DuraGrid which is a punched and stretched geogrid. CombiGrid® is a registered trademarks of Naue Gmbh & Co. Kg registered in Germany. 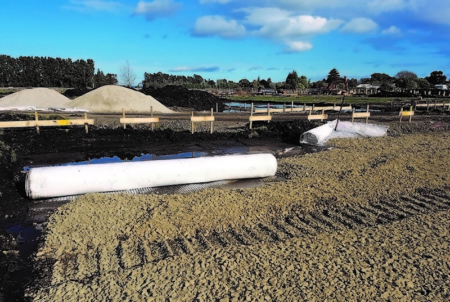 What grade is the geotextile laminated to the geogrid? 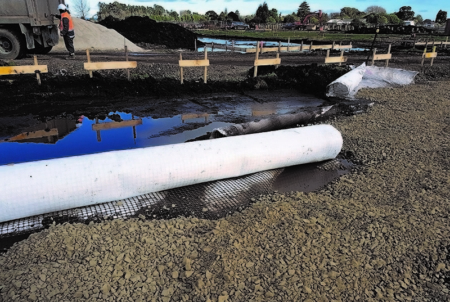 The geotextile laminated to the geogrid is a nonwoven needle-punched geotextile similar to the DuraForce AS280 product. 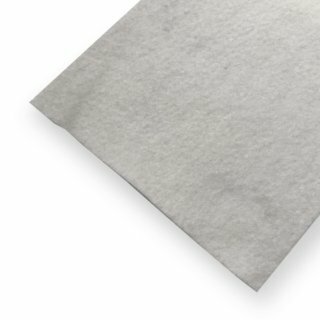 Are there other roll sizes available? 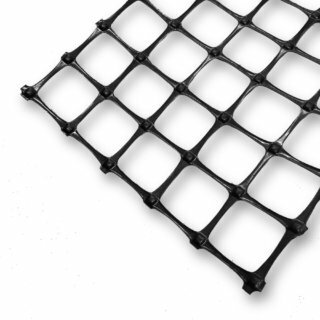 GridTex is readily available in one roll size of 3.9m x 50m. However, if a larger roll size is required, we recommend our CombiGrid product which is available in a 4.75m x 100m roll.